Throughout the rain-threatened spring morning, pilgrims kept arriving at the Marietta City Cemetery. High school kids researching a history project. A Darlington, South Carolina, lawyer who’d been planning his trip for months. A curious college student. All made their way to the grave of Mary Phagan, a thirteen-year-old child laborer murdered in a downtown Atlanta factory on April 26, 1913, exactly 100 years before. Little Mary’s final resting place, with its hauntingly engraved stone (“Many an aching heart in Georgia beats for you, and many a tear, from eyes unused to weep, has paid you a tribute”), has long been a shrine. But the girl’s mysterious death and the subsequent tragedy it inspired—the lynching of Leo Frank, a Cornell-educated Jewish industrialist convicted of her killing—make the site more than just a place for paying respects. Here, unresolved hostilities still erupt. Among this day’s visitors was eighty-year-old Edward R. Fields, a former Grand Dragon of the Ku Klux Klan, an associate of the late racist politician J.B. Stoner, and a founder of the anti-Semitic National States Rights Party. After offering a prayer and placing a flower, Fields told Leo Hohmann of the Marietta Daily Journal that Frank, contrary to most contemporary thinking, was guilty as charged. As to why many now believe otherwise, Fields declared, “Money is power. And the Jews have the money. They came down here from New York and made movies and wrote stories.” So began the centennial of Atlanta’s most infamous criminal case. Even after 100 years, the questions linger. 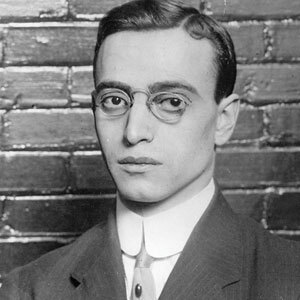 Was Leo Frank indeed innocent? Did he receive a fair trial? Did America’s Jews, especially those in the press, misplay their hand, inadvertently igniting the sectional hostility that doomed Frank? How did the lynch mob get away with such a brazen crime? Finally: Could it happen again? From today’s perspective, the case beggars belief. Mary Phagan, who toiled at a Forsyth Street pencil factory run by Frank, was found strangled to death in the factory basement not long after leaving Frank’s office with her weekly pay: $1.20. Next to her body the police discovered two semiliterate notes that purported to have been written by her (“i wright while play with me,” read one) but were plainly the work of someone else. Jim Conley, the factory’s black janitor, claimed that Frank committed the murder when the girl rejected Frank’s sexual advances. Conley added that Frank dictated the notes to him in an effort to pin the crime on another black employee. Following a monthlong trial in the heat of summer, an all-white jury accepted Conley’s word over that of the Yankee Jew and returned a guilty verdict. A black witness had prevailed against a white defendant in a capital case in the Jim Crow South. The judge’s sentence: death by hanging. Striking as all this was, what happened next proved even more dramatic. The Northern press, led by the New York Times, took up the story. Tom Watson, a fierce Georgia populist offended by what he saw as one-sided accounts in the Jewish-owned Times, responded in his weekly tabloid, the Jeffersonian, with incendiary rants that featured ugly stereotypes and played up Southern grievances. When the U.S. Supreme Court denied Frank’s last appeal, Governor John Slaton, widely seen as having a conflict of interest (his partner was the lead defense lawyer), reviewed the case. In June 1915 he commuted Frank’s sentence. Soon after, a disciplined cadre of vigilantes stormed the state prison in Milledgeville and abducted its now celebrated inmate. They drove Frank in an automobile caravan some 150 miles through the night to an oak grove near Mary’s family home in Marietta. There they carried out what they saw as the court’s verdict: They hanged Leo Frank. No one was indicted (one of the lynch mob leaders conducted the grand jury inquest), much less convicted. It was a perfect crime. Little wonder the case remains profoundly unsettling. Not only were there two hideous murders, but religious prejudice, racism, and demagoguery ran rampant, and the law was trampled. When it was over, Atlanta’s Jews—previously secure in their social and business standing—retreated into a twilight of suspicion and fear. As for the leading citizens of Marietta who masterminded the hanging, they bore an abiding shame: the stigma of a lynching. For decades, neither group would speak of the subject. Nor would Georgia’s blacks. Conley, one of their own, gave the testimony that convicted Frank—testimony he had every reason to concoct if, as many came to suspect, he was the real culprit. In 1983 the Georgia Board of Pardons and Paroles refused to grant Frank an outright pardon, but three years later it conceded that the state had failed to protect his constitutional rights (the break-in at the prison was unopposed) and issued what amounted to an apology. The affair reentered the public consciousness. NBC broadcast a miniseries starring Peter Gallagher as Frank and Jack Lemmon as John Slaton. In 1998 playwright Alfred Uhry, an Atlanta native, and director Hal Prince mounted a Broadway musical about the case, Parade. Finally, in 2003, And the Dead Shall Rise, my attempt to bring every last bit of the dark tale into the light, appeared in bookstores. In the hours after Mary Phagan’s body was discovered, Leo Frank seemed unduly agitated. There was credible circumstantial evidence against him as well. According to one witness, he was not at his desk at the hour Mary was slain, even though he’d said he was. Also damning, at the trial many female employees testified to his reputation for lasciviousness. But almost certainly Frank did not kill the girl. The murderer was Conley. On the afternoon of the crime, the janitor was in the factory lobby when Mary emerged from Frank’s office with her wages. Drunk and by his own admission in debt, he had the opportunity to rob her, then a reason to kill her. True, there will always be doubts. The Atlanta Police botched the forensics investigation, and an autopsy was not conducted on the victim until nine days after her death. Moreover, Conley testified convincingly at the trial, while Frank gave a wooden statement. But William Smith—Conley’s lawyer and a central character in my book—demonstrated that Conley lied about the case’s most important physical evidence. In a careful study, Smith, who’d long entertained doubts about his client, proved that Conley, not Frank, was the author of the notes found beside the girl’s body. Governor Slaton relied on Smith’s work when commuting Frank’s death sentence. Frank’s trial was demonstrably unfair. There were frequent outbursts against him from spectators, and as the jury deliberated, the judge and the lawyers for both sides struck an agreement to keep Frank out of the courtroom when his verdict was read, for fear he would be lynched if acquitted. Still, there’s no evidence for a later claim that crowds shouted at the jury, “Hang the Jew, or we’ll hang you.” That was an invention by Frank’s supporters and is indicative of the heavy-handedness that would mark their pronouncements. Although most American Jews believed that Frank was not so much prosecuted as persecuted, there was a fierce debate in the Jewish community about how to respond. American Jewish Committee president Louis Marshall, the constitutional lawyer who handled Frank’s appeals before the U.S. Supreme Court, felt that Frank’s ethnicity should not be a factor in the efforts to exonerate him. Others, among them Albert D. Lasker, the millionaire advertising executive who publicized Frank’s plight, disagreed, and they prevailed, transforming the case into a cause celebre in which religious prejudice was a central issue. Lasker’s daughter, Frances Lasker Brody, told me that in subsequent years her father said he had made a terrible mistake. He’d realized that his tactics had helped foment the backlash in Georgia against Frank. No one was more convinced of Frank’s innocence than Adolph Ochs, publisher of the New York Times, and his conviction, no matter how well-intentioned, led to journalistic excesses. Ochs turned the paper of record into a pro-Frank propaganda machine. It printed hundreds of stories that played up facts in his favor. How biased was the Times? Researchers examining recently located files in the paper’s archives discovered a trove of photographs of the Phagan crime scene in which models reenact the murder in a sequence staged to establish Conley’s guilt. The pictures were commissioned by Ochs as the courts weighed Frank’s fate, and while he did not run them, they offer proof of the thinking behind what he did publish. The Times’ coverage spurred Watson to the rhetorical extremes that laid the foundation for the case’s awful conclusion. Whatever the lapses by his allies, Frank’s lynching was an act of infamy. The crime was conceived by Marietta’s elite, men whose family names—Brumby, Clay, Brown, Morris—still resonate in high places and adorn prominent buildings across Georgia. It was carried out by farmers and merchants who answered to these worthies. But it was not merely a local operation. As I make clear in my book, the lynching was underwritten by the state legislature, which in the crime’s aftermath funded new construction at the Milledgeville prison. Georgia financed Frank’s lynching. It’s no surprise Frank’s sympathizers lacked the stomach to call for an investigation. In fact, the most startling discovery in the Times archives is a letter to Ochs from a sister who visited Atlanta after the lynching, telling him the city’s Jews had voted to let the matter rest. To look too deeply, they’d decided, could lead to more violence. But the most worrisome parallel is this: The red state/blue state divide that now transforms elections and court decisions into venomous societal litmus tests finds its origins in events like the Frank affair. Under the right circumstances, the same sort of anarchy that engulfed Frank could be loosed again. There is, of course, one huge difference between yesterday and today: The FBI, at the time of Frank’s lynching a nonentity, now has the authority to investigate civil rights violations and conspiracies. Indeed, just the threat of federal prosecution has a way of deterring atrocities. Even so, the sentiments articulated by ex-Klansman Edward R. Fields at Mary Phagan’s grave are not uncommon. For the next two years—the centennial will continue through August 17, 2015, the 100th anniversary of the lynching—the Frank case will be rehashed from all sides. The last battle of the Civil War and the first battle in the culture wars, it is not over. Steve Oney will talk about the Leo Frank case at Georgia State University on October 3. The event is at Speakers auditorium in the GSU Student Center, 44 Courtland Street SE, at 4:30 p.m. and is free and open to the public. Click here for more details.